The Dunwells are brothers Joe and Dave Dunwell along with cousins Jonny Lamb and Rob Clayton. Having spent their formative years playing around Leeds, and honing their chops in the clubs, their first big break came when they hit the shores of the US in 2011 to perform at the Folk Alliance Conference in Memphis, TN. Their impact was nothing short of astounding – and led to the band being signed to Austin based indie Playing In Traffic. This, in turn, led to a co-deal with the respected sub major Concord Music Group (Paul McCartney, Valerie June, Alison Krauss). 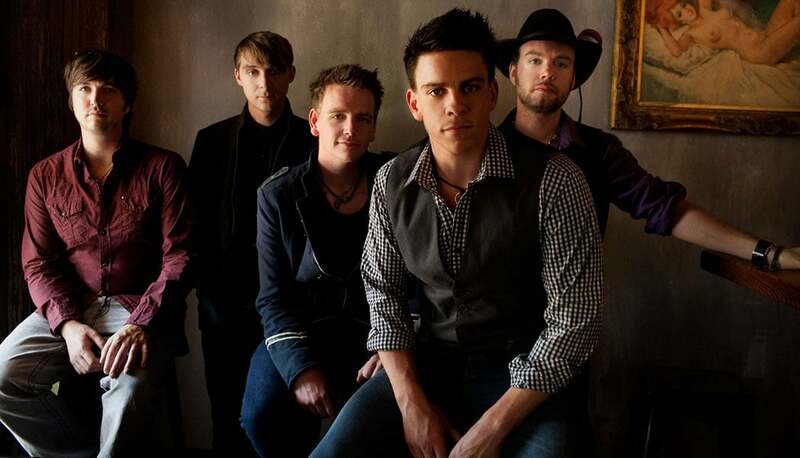 The fairytale continued throughout 2012 and 2013 – as The Dunwells’ swift rise developed through endless touring, an appearance on The Tonight Show with Jay Leno as well as packed out shows at Red Rocks, CO, the Levitt Shell in Memphis and the Rock Boat. They also appeared at major festivals in both the US (Lollapalooza, Austin City Limits, Bunbury) and the UK (Cropredy, HMV’s Next Big Thing, The Great Escape). Creating a unique blend of emotionally driven, anthemic rock, featuring signature four part harmonies, influences that range from Foy Vance and Crowded House, to Fleet Foxes and Elbow. Having been putting down new tracks with producer Stephen Harris (Kodaline, Kaiser Chiefs, Dave Matthews) since late 2013 for their upcoming second release, and with a slew of dates penciled in for both the US and the UK (including shows this month in Doncaster and Shefffield), we caught up with the band who keep it in the family to find out how it went so right. There’s a lot of emotion in your music. What do you relate your songs to? Our songs relate mainly to ourselves… where we are in our lives at that time. They’re all very much written straight from the heart. Is the Dunwells sound typical of the music you all listened to in your formative years? No, it’s quite different. We feel that the band has taken the best parts of the music we listened to early on and created a unique sound. Your first album, ‘Follow The Road’, which songs on there mean the most to the band and why? Blind Sighted Faith was the one. It was the song that finally set the direction for the band and kept us playing together. Without that song, The Dunwells wouldn’t be here today. Tell us about your next release and what we can look forward to. Our 2nd album is currently being finished and it contains songs which were written way back when Joe and Dave started writing together up to songs which have been written whilst on the road. There’s a synergy and quality that runs throughout the entire album. It’s quite different to our first album, but still contains The Dunwells signature harmonies and heart. Your American dates have been impressive.Tell us about the standout moments? Touring the US has been amazing – and we’ve learnt a lot from it. We’ve had the chance to play some incredible shows. Stand out moments were Red Rocks in Colorado and, of course, playing on national prime time television on the Jay Leno show! On stage you have a very relaxed and informal style with the audience. What’s the strangest thing an audience member has said or done? There’ve been a number of comments that have been shouted at various band members. Some of which have been very funny… but unprintable. One on the strangest things that’s ever happened is when an entire audience came up with a full dance for I Could Be A King. We weren’t expecting that! Touring the UK will be different. What are you expecting to experience over here? Because it’s our home country, we’re really excited to be doing it. With the new material it’s going to be interesting to see how the audience takes to the developed and more mature sound and songs. Give us a story from on tour. What kind of adventures do you get up to offstage that are publishable? Hmmm, that’s a good question. Joe and Dave once went for a run through a park in the US only to find out that it was inhabited by mountain lions. We’ll leave the rest to your imagination..! What are the differences between US and UK audiences? We’ve found that the UK audiences are up for a party – whereas the US audiences are definitely more considered. You come to Sheffield having sold out your last show here. What do you know about the city? We’re not really familiar with much about Sheffield – apart from of course that it was the heart of the British Steel industry. But we’re big fans of Artic Monkeys – the way they rose to fame in the mid 2000s was inspiring. Their new album is brilliant as well. Great band. We have the release of our 2nd studio album, then it’s tour, tour, tour! It all kicks off with our UK tour in April, then we’ll be in the US for a while. What message would you send out to anyone thinking of coming to your shows ? Do it! If you come to one show, you’ll certainly be back for more. We try and make the show an experience rather than just a gig – playing live is the reason we’re in this business. 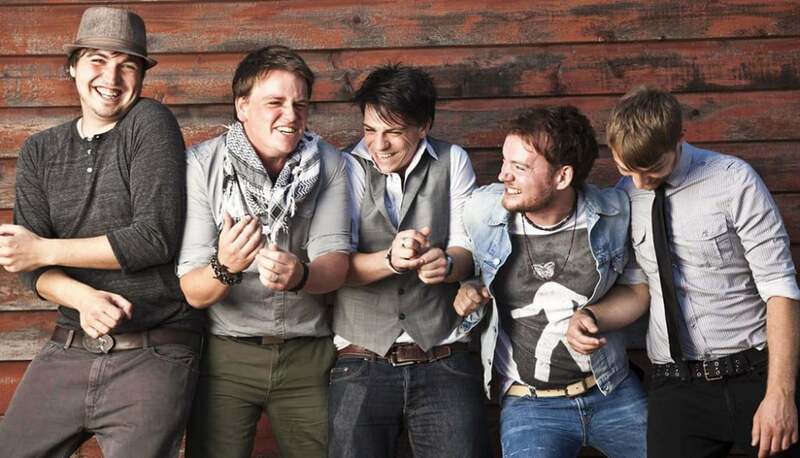 Catch The Dunwells at The Leopard, Doncaster, on April 4 and here in Sheffield at Plug on April 5. See www.thedunwells.com for more.